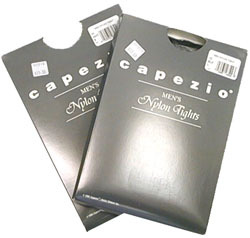 New Improved dense yet soft spun 92% Nylon, 8% Spandex Capezio Men's Heavyweight Footed Tights. Features a 3/4" plush elastic waistband and a gusset for freedom of movement. The white is dyeable, increasing versatility and stage options.